The World No. 5 from Austria will play at the ATP 500 event in 2019 and 2020. Dominic Thiem will play at the Hamburg Open in 2019 as well as in 2020. This was announced by the organizers of the ATP 500 clay-court event on Friday. 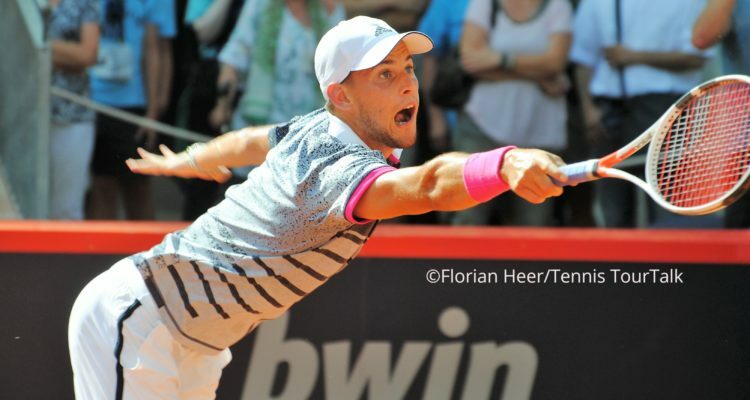 “It’s a great for the tournament that a world-class player like Dominic Thiem has commited to compete at the Rothenbaum for the next two years,” Sandra Reichel, new tournament director, stated in a press release. The World No. 5 from Austria will return to Hamburg for the third time after reaching the Round of 16 in 2014 and the quarterfinals last year. “Sandra Reichel has made a tremendous effort as tournament director and promised me a home advantage,” Thiem said. The Hamburg Open welcomes 32 top singles players and 16 doubles teams to the summer clay-court event as one of the 13 ATP Tour 500 stops. The tournament is held in the heart of Hamburg at the Rothenbaum Tennis Center and will take place from July 22 to 28. This entry was posted in ATP 500 Hamburg, ATP Tour and tagged ATP Tour, Dominic Thiem, Hamburg, Hamburg Open.